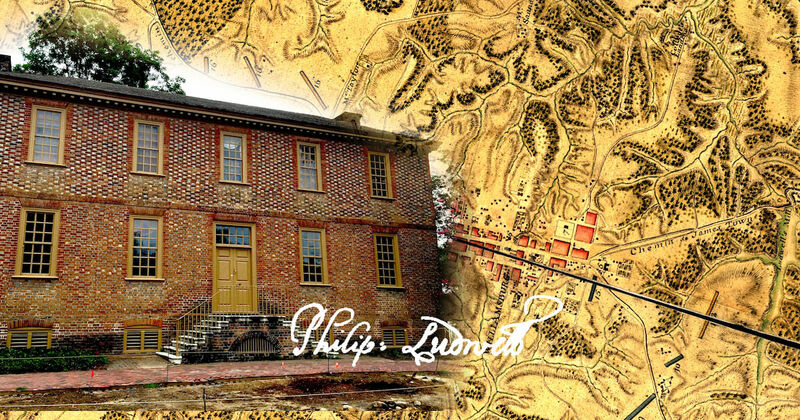 Philip Ludwell III’s two primary residences were a townhouse in Williamsburg now known as the Ludwell-Paradise House, and Green Spring Plantation, a few miles west of the colonial capital. We know how Green Spring came to be, but what do we know about the origins of Ludwell’s 264-year-old townhouse? Like much of Philip Ludwell’s life, the history of his Williamsburg townhouse is somewhat hidden from public view, just like the house itself. 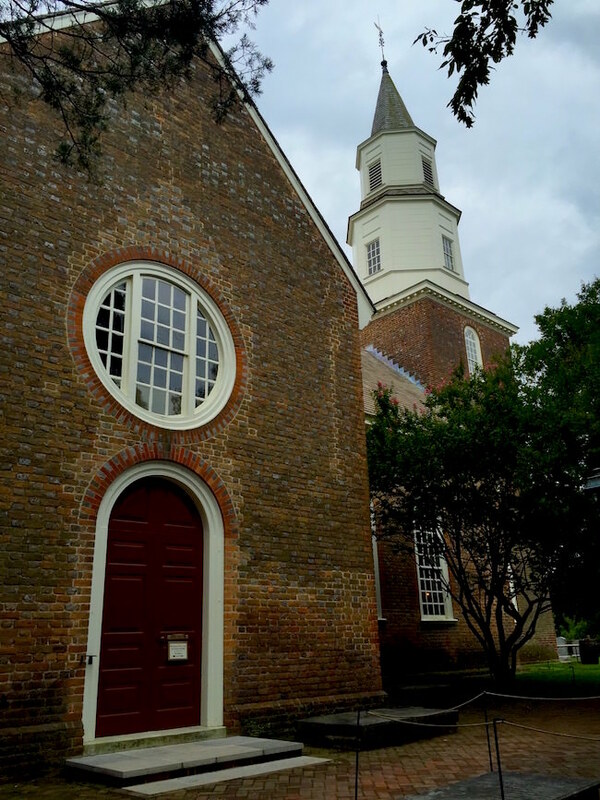 Today, the historical park of Colonial Williamsburg is a must-visit destination for Americans who desire to know more about the roots of the United States. But in the early 20th century, Williamsburg was a sleepy, half-forgotten town that was home to the College of William & Mary, which was chartered in 1693, six years before the town became the capital of the Virginia colony. Bruton in County Somerset, England. In the 1920s, the Reverend W. A. R. Goodwin returned to Williamsburg to once again take up the post of rector of Williamsburg’s Bruton Parish Church, a position he had held two decades earlier. When he arrived in the old colonial capital, he was shocked at the continuing deterioration and loss of many 17th- and 18th-century structures in the town. At the end of 1926, John D. Rockefeller, Jr., son of the famous industrialist, authorized Rev. Goodwin to purchase the Ludwell-Paradise House. This act marked the beginning of Rockefeller’s many purchases of historic properties in Williamsburg in the massive historical renovation project that became Colonial Williamsburg. 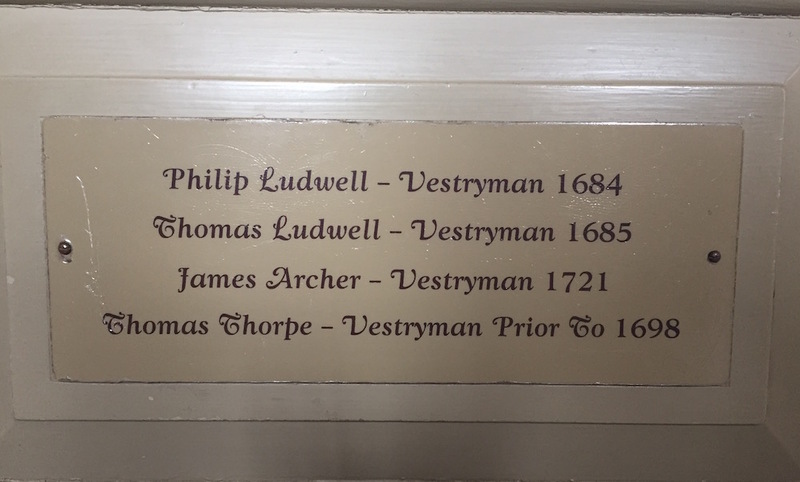 Interestingly, as we will see below, the Ludwell family played a key role in the development of Bruton Parish Church in the 1600s. While the acquisition of the Ludwell-Paradise House marked the beginning of modern-day Colonial Williamsburg, the Ludwell family was among the first families to build the “original” Williamsburg, known in the 1600s (prior to becoming the colonial capital) as Middle Plantation. In the 1660s, Thomas Ludwell, originally “of Bruton in the County of Somerset [England]” arrived in Virginia, where he served as Secretary of the Colony and was influential in the building of the future Williamsburg. Thomas left his family’s mark on the town, with Bruton Parish Church taking its name from Bruton in Somerset, England, the home of the Ludwell family. The Ludwells were early members of Bruton Parish Church. Nameplate on the Ludwell pew. One can find evidence of the Ludwells’ prominence in the Williamsburg area, but you have to look hard. For example, students and alumni of the College of William & Mary are well aware of Lake Matoaka just west of campus. Few are aware, however, that Lake Matoaka used to be known by the name Ludwell’s Mill, a fact we find in a Revolutionary War-era military map of Williamsburg made in 1782 by French General Rochambeau’s army in the aftermath of the Battle of Yorktown. Ludwell’s Mill, shown at left in General Rochambeau’s 1782 map of Williamsburg, is now known as Lake Matoaka (shown on the right), part of the campus of the College of William & Mary. Philip Ludwell I was a key supporter of Governor William Berkeley, the longest-serving governor of Virginia. He served as Speaker of the Virginia House of Burgesses and as governor of the entire Colony of Carolina. Philip married Governor Berkeley’s widow Lady Frances Berkeley, thus inheriting Berkeley’s renowned Green Spring estate. His son, Philip Ludwell II, served on the colony’s Council of State and as Rector of the College of William & Mary. Philip Ludwell’s townhouse was built in the mid-1750s when he was a Councillor. 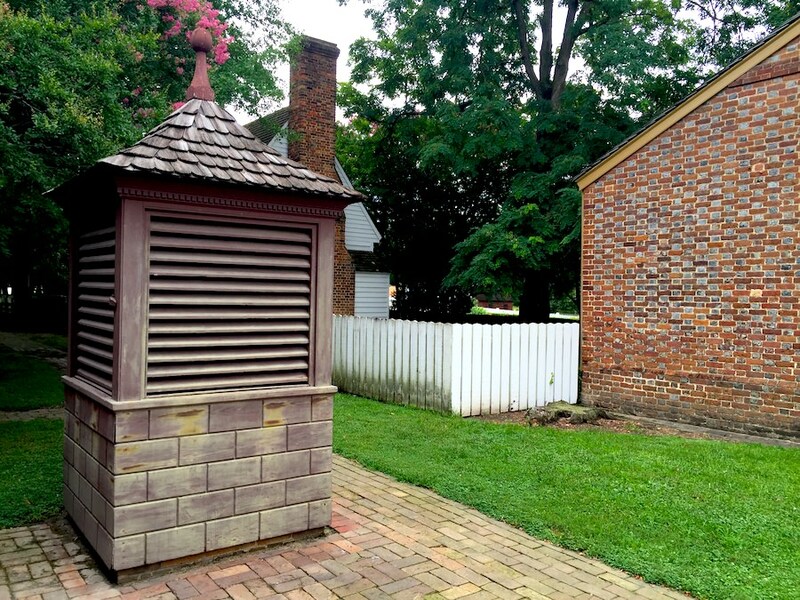 Unfortunately, the home is not on display to the public like many of Colonial Williamsburg’s historic buildings. Philip Ludwell II died in 1728, leaving his eleven-year-old son Philip as master of Green Spring plantation. After studying at William & Mary and marrying Frances Grymes of the Northern Neck, Philip Ludwell III spent time in London where he was received into the Orthodox Church. Upon his return, he represented nearby Jamestown in the Virginia House of Burgesses. In 1750, Philip’s brother-in-law Thomas Lee of Stratford Hall passed away. Thomas, for whom the town of Leesburg in Loudoun County was later named, had been a member of the Council of State (the supreme governing body in the colony), serving as President of the Council and acting Governor of Virginia. As was customary in a society built on familial ties, Philip Ludwell III then took Thomas Lee’s place on the Council of State. With his appointment as a Councillor, Ludwell would have spent much time in the capital on government business. From 1754, when the French and Indian War began, one can assume that government officials such as Ludwell would have had more than the usual amount of business to attend to. Back yard of the Ludwell-Paradise House. Well in the rear of the Ludwell home. Add to this another important fact: on January 30, 1747, Williamsburg’s capitol building burned to the ground. This catastrophic event was followed by an outbreak of smallpox in Williamsburg in 1747-48. In response, in November 1748, the colony’s General Assembly narrowly approved rebuilding the capitol in Williamsburg, thus sparking a wave of construction and expansion of existing buildings which included the construction of the Ludwell-Paradise House. 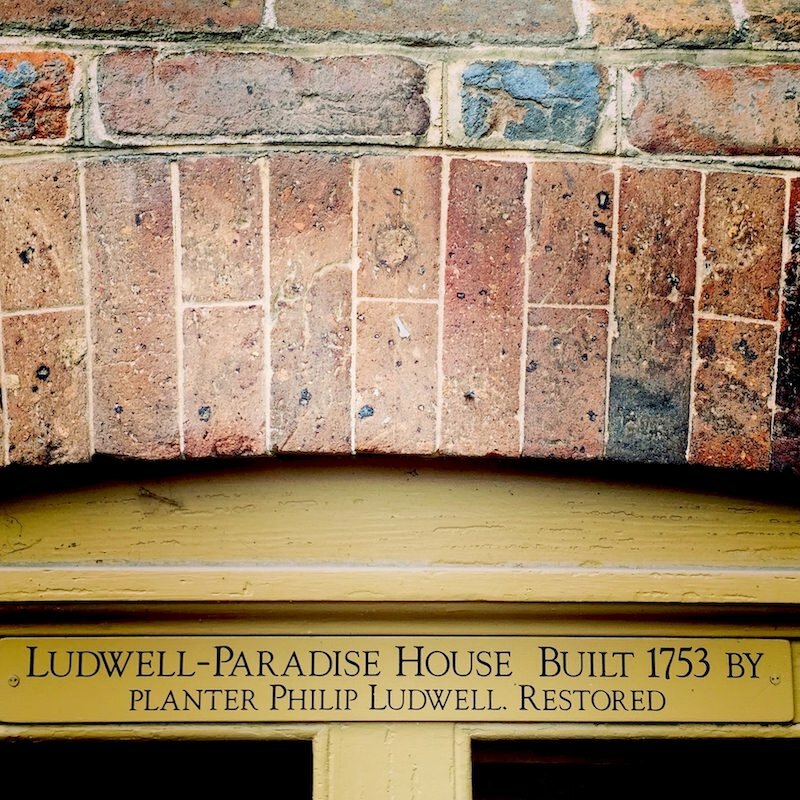 Today, the front door of the Ludwell-Paradise House recalls this “boomtown” era with a note: “Ludwell-Paradise House – Built 1753 by planter Philip Ludwell. Restored.” More recent archeological work on the house has suggested a slightly later date of 1755 for its construction. The first half of the 1750s was certainly a busy time for the third Philip Ludwell: his wife Frances (Grymes) gave birth to their daughter Frances in 1750, closely followed by Lucy Ludwell (Paradise) in 1752. 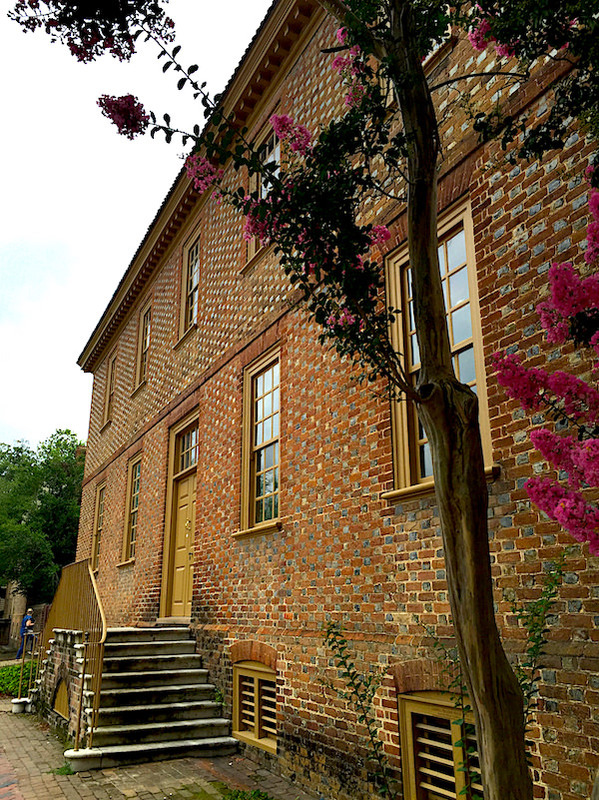 The Ludwell-Paradise House, on Colonial Williamsburg’s main street, midway between the College of William & Mary on the west and the colonial capitol building to the east. It is unfortunate that this historic building is currently closed to the public. 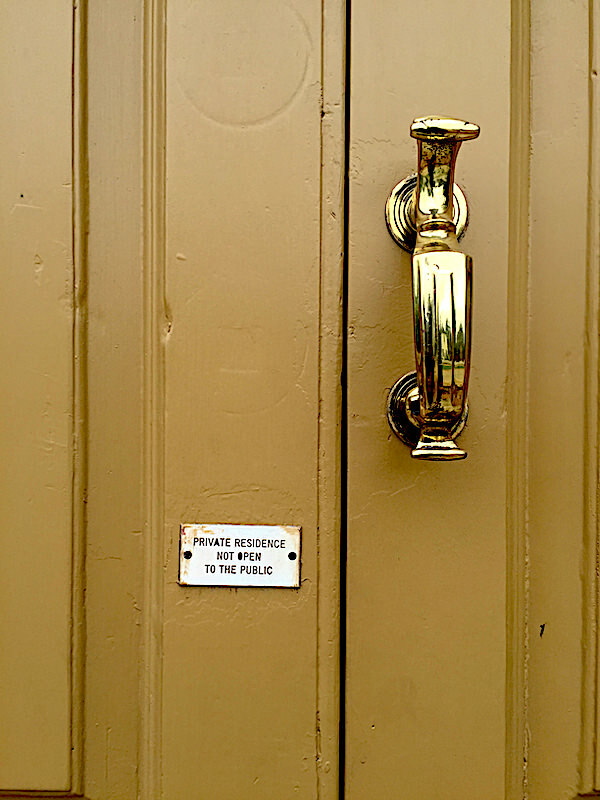 One can think of many reasons to open it for the edification of Colonial Williamsburg visitors. There is also past precedent as the house originally hosted the Abby Aldrich Rockefeller American Folk Art collection that now has its own purpose built home. To begin with, the Ludwell-Paradise House is an important part of the history of the colonial capital in the 1750s – a time when the French and Indian War was at the top of colonists’ minds, and when a young George Washington first started building his military career, with the help of government officials such as Philip Ludwell. A focus on 1750s Virginia history would help expand Williamsburg’s story line, which is generally limited to the years immediately preceding the American Revolution. The early 1770s was a pivotal period in the life of America, but it was not the only important era in early Virginia. In the early republic in 1824, for example, the elderly Marquis de Lafayette dined at the Ludwell-Paradise House during his famous tour of America. 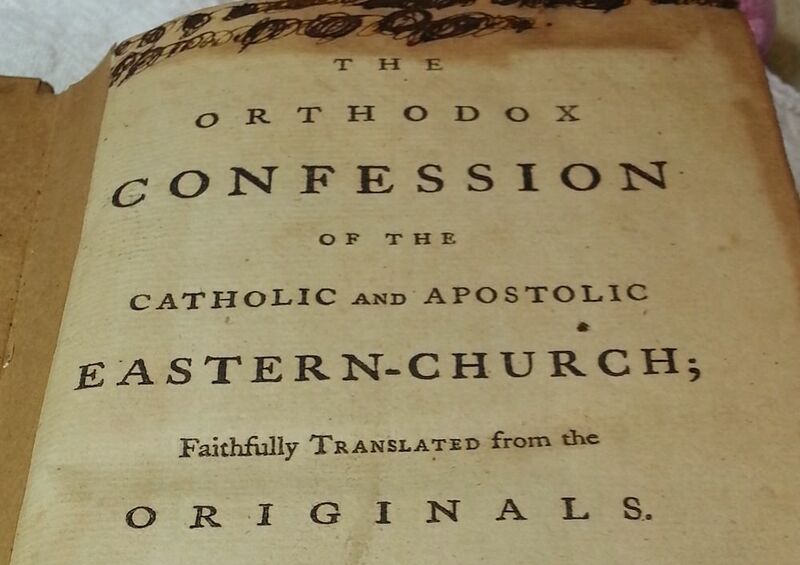 Philip Ludwell’s translation of the Orthodox Confession of the Eastern Church, self-published in 1762 in London. With such means at his disposal, one wonders why a portion of the eastern wall of the Ludwell-Paradise House’s basement contains an apse-like indentation facing east, an element that probably undermines the structural integrity of the building. On the surface of it, it does not make sense to introduce such a “flaw” into an otherwise sound structure. Apses are a prominent and desired architectural feature in the churches and worship of the Orthodox East, something Ludwell may have been introduced to in his travels to London and also in his readings about Eastern Christian religion. In this regard, it is interesting to note that Ludwell’s daughter Lucy Ludwell Paradise resided in the house in the early 1800s. A practicing Orthodox Christian, on her death she was interred in the graveyard of the church at Jamestown along with her grandparents and other family members. Sept 22 1774 issue of the Virginia Gazette. Source: Library of Virginia “Fit to Print” Blog. The Ludwell-Paradise House also housed the operations of one of the two Virginia Gazette newspapers from the 1760s until 1774, on the eve of the American Revolution. In fact, the Virginia Gazette printed in the Ludwell-Paradise House was published by Clementina Rind, Virginia’s first woman newspaper publisher. According to the Virginia Museum of History & Culture: “It is clear that Rind valued women as readers of her paper, for it included poetic tributes to women in acrostic or rebus form, prose, and news reporting with a feminine slant.” The House would thus be an appropriate place to display and highlight information from colonial newspapers, diversifying the history on display to visitors, from colonial society news to information on the baptisms and escapes of enslaved African-Americans to political events of the time. 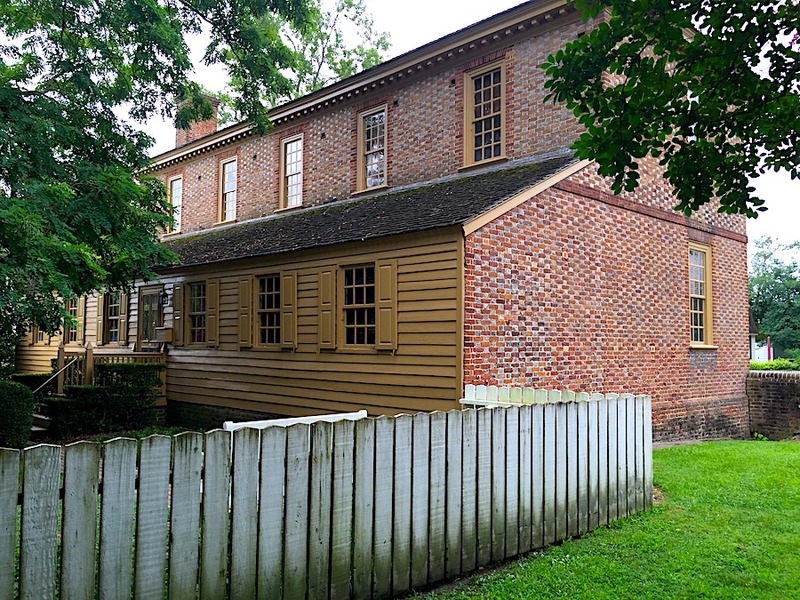 In short, the Ludwell-Paradise House is an opportunity waiting to happen to help paint a more wide-ranging and diverse picture of the history of early America in Virginia. Because we know so much about the House’s past, it deserves a future. Who Was the Real Lucy Ludwell Paradise? Fascinating story about Phillip Ludwell III having been chrismated into the Eastern Orthodox Faith and that his daughter is listed as a practising Orthodox Christian. I am curious how she might have done this other than following the feast days. The liturgy is important in the practice. Do you have further information? present his Respects to Your Excellency…” Fr James Smirnove served the parish in London for an astonishing 60 years from 1780-1840 ! So I would surmise that she would have retained contact with him, although we do not have any extant correspondence. I also think it possible that Fr James would have given her the presanctified holy gifts to commune from whilst in America. There is also evidence of a continuing wider Orthodox community in Williamsburg up until the 1840’s and I hope to write more fully about this at a future date.